Join us in this special workshop to learn how to make a plush toy with socks! 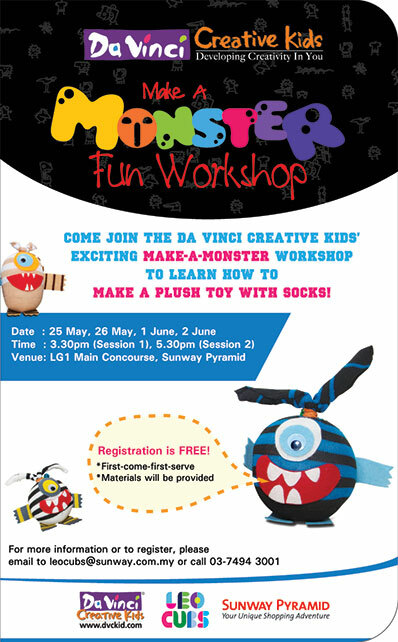 For more information or to register, please email to leocubs@sunway.com.my or call 03-7494 3001. 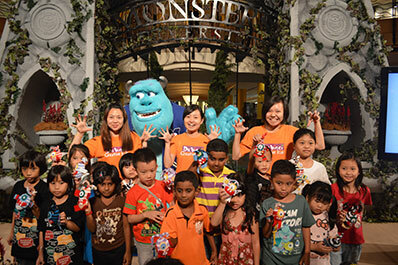 Last month, Da Vinci was invited to partner with Sunway Pyramid to conduct a special workshop for kids to make their own monster in conjunction of the newly release movie “Monsters University”. 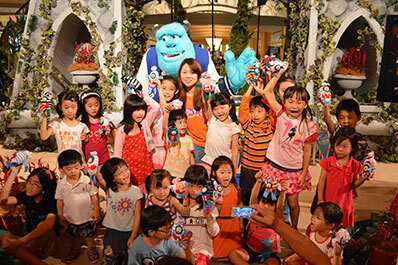 Some of the kids have really showed creativity in making their own monster and the whole event ended with smiles on everyone’s faces.